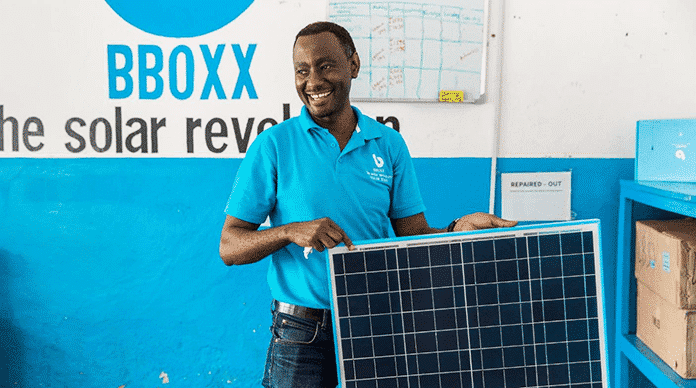 UK-based mobile-pay-go solar energy start-up BBOXX is taking a big step up in class as it expands in Togo as a key partner in the Togolese government’s solar energy-fueled national electrification drive. 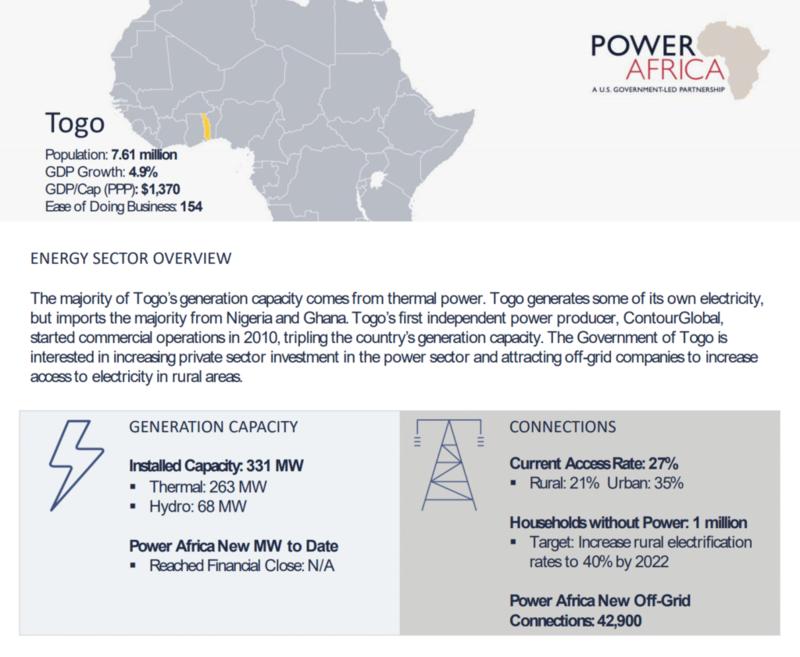 Just 27 percent of Togo’s population (~7.5 million) has access to reliable, safe sources of electricity, USAID estimates. That drops to anywhere from 6-21 percent in the countryside. Togo’s government aims to raise national electrification to 50% by 2020, 75% by 2025 and 100% by 2030. Solar energy figures to play a leading role in realizing these goals. Launched in August 2017 with a USD975,000 grant from the African Development Bank’s (AfDB) African Sustainable Energy Fund (SEFA), Togo’s Project CIZO is a strategic plan that aims to meet 50 percent of the West African nation’s electricity needs with solar power by 2030. The European Union (EU) added between €20 million-€25 million in capital via AfDB in mid-October, one of the goals being to install off-grid, home solar energy systems in 550,000 Togolese households by 2030. 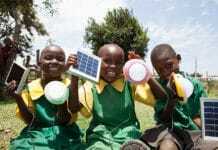 Building capacity to provide sales, installation and maintenance of solar kits in rural areas. Furthermore, support from AfDB’s SEFA and other international development banks and agencies will enable a national network of mobile payments agents to be created. Recruitment and training of agents will help build the foundation for so-called PAYGO operations by making mobile, electronic banking and payments services available in remote rural communities, according to SEFA. 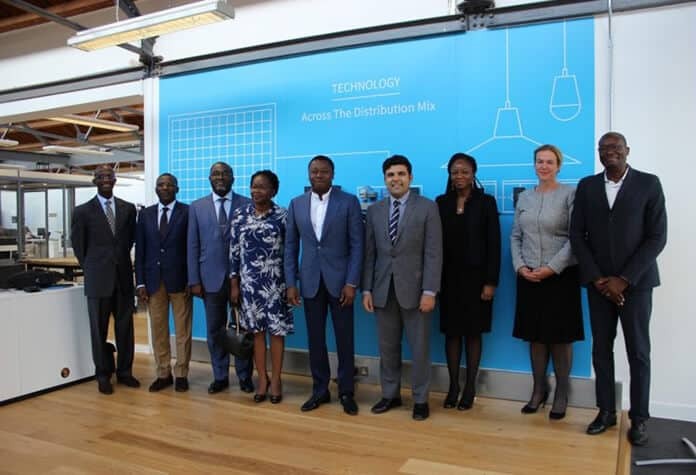 In addition, solar energy training and education academies will be established across Togo, thereby providing a ready supply of certified, Togolese technicians. Togo’s government aims to foster construction of 300 mini solar power plants across the country and distribute 500,000 household solar energy kits at a 30 percent discount to the market price as Project CIZO proceeds. EU and AfDB support should help realize that goal, as well as facilitate achievement of Togo’s broader-based national electrification and sustainable development goals. It’s estimated that Project CIZO will cost the Togolese government approximately the equivalent of some USD1.76 billion. The government intends to raise USD318 million and raise the remainder from private investors. The EU’s CIZO funding falls within the framework of the G20 Compact with Africa, a sustainable development initiative launched in March 2017. The intent is to recruit participation of Togolese banks in CIZO, thereby facilitating the nationwide solar electrification drive by encouraging private-sector lending to home solar and mini solar power plant customers. Ultimately, the EU aims to provide energy access to 2 million Togolese within five years. 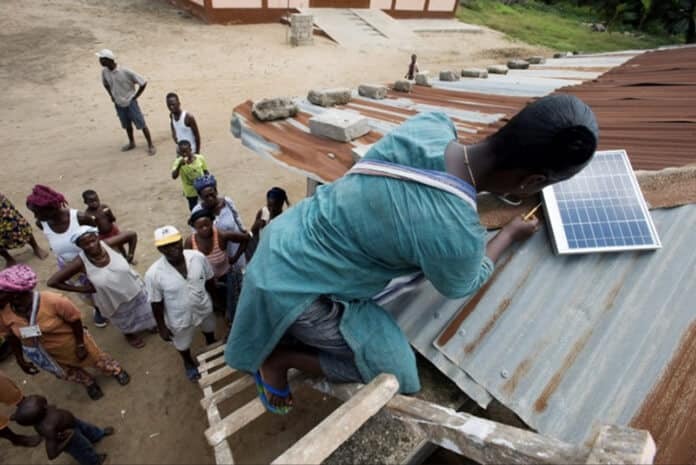 A Power Africa partner, BBOXX has agreed to distribute 300,000 home solar kits across the country to introduce solar power in Togo, according to USAID. BBOXX is confident it will fulfill, if not exceed, expectations as a company and in helping Togo realize CIZO’s goals. “On average, people completely off the grid in the developing world spend USD14 per month on candles, batteries and kerosene. 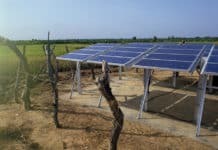 Those on unreliable grids spend USD150 per month and another USD150 for a one-off connection grid. BBOXX customers completely off the grid spend USD6 per month for a solar home system which provides them with energy for lighting, small appliances and mobile phone charging,” Hamayun said in an interview. He added that BBOXX pay-go home solar energy systems come with the added benefit of having been proven reliable and come with comprehensive customer service. And in addition to generating emissions-free, renewable energy with zero in the way of fuel costs, customers pay for smart-metered energy as it’s used and they are able via mobile payments services. The young company’s business model has been implemented and proven successful in other African countries facing similar rural electrification challenges, Hamayun pointed out. BBOXX got its start, and has been proving its ability to build and operate a mobile, pay-go home solar network based on marketing, distribution and sales of digitally networked home solar power kits, devices and small household appliances in Rwanda, where it has been operating since 2013. In Togo, BBOXX’s mobile pay-go, home solar PV-battery energy storage systems are already supplying sustainable, emissions-free electricity to 26,000 households. Its home solar energy kits and low-power, energy-efficient household electrical and electronic products are being sold in some 20 local shops, employing around 100 Togolese, according to the company. Technologically, Pulse, BBOXX’s cloud-based task management platform, plays a core, key role in the company’s expansion efforts. “We face the challenge of managing scale as customers, products and employees are dispersed across a range of remote locations,” Hamayun said. Pulse streamlines BBOXX’s business processes and enhances customer service, which makes for an efficient, smoothly run operation, he explained. 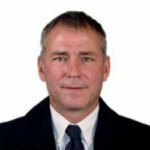 “Pulse ‘gamifies’ and ‘digitalizes’ our entire sales and service management, automating tasks for sales agents, technicians, call centres and our supply chain,” Hamayun said. The cloud-based platform incorporates “Big Data” analytical capabilities, “allowing us to have an accurate picture of performance quickly and uses machine learning to enable predictive analytics. For example, Pulse uses product monitoring to predict failure and allows the operational team to proactively support customers, automatically schedules field tasks for staff and much more,” he added. Boosting BBOXX’s expansion in Togo further, private equity investment company Bamboo Capital Partners will join with BBOXX and EDF by investing an undisclosed amount in BBOXX’s Togolese DESCO (Distributed Energy Service Company) via its BEAM investment platform. The capital is to finance and accelerate BBOXX Togo’s growth. BBOXX has also been able to raise capital locally through Union Togolaise de Banque. That “has made financial matters more straightforward for us, and it will boost our expansion across the country,” Hamayun said. The Government of Togo and state institutions are also facilitating BBOXX Togo’s efforts. 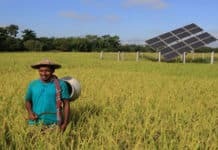 The company is working with La Poste, which has the largest distribution network in the country, to sell and distribute its solar home systems and other small electrical, consumer products, such televisions and radios, Hamayun explained. BBOXX is also opening shops within La Poste’s distribution outlets, he added. President of Togo visits BBOXX headquarters. Looking ahead, BBOXX is working to expand the range of energy products and services it offers in Africa. The company has partnered with Axiom Networks to trial Internet services in Rwanda and intends to expand this to include all the African markets in which BBOXX operates. “Axiom provides [the] Internet connections, while BBOXX manages the hotspot installations, the Internet access and the B2C activity,” Hamayun explained. BBOXX has also entered into a partnership with US multinational GE to provide energy access for small businesses, schools and other organizations in the Democratic Republic of Congo city of Goma. BBOXX deployed the first of GE’s Hybrid Distributed Power (HDP) systems there earlier this year to provide energy service to up to 10 customers, according to Hamayun.